PAUL E. STERN OF THE WEBSITE STATE INTEGRITY INVESTIGATION GIVES AN OVERVIEW OF THE STATE OF CONNECTICUT'S CORRUPT POLITICAL AND JUDICIAL PAST! "Connecticut has benefited from some spectacular corruption. In the past decade, no branch of government has been spared from abuse, exploitation and disgrace. There was Gov. John G. Rowland, who, in league with a prominent state contractor, turned his administration into a criminal enterprise. There were legislators who, in the pursuit of power, were willing to be owned by lobbyists. There was State Treasurer Paul Silvester, who used his office and the state’s treasury to extort millions in kickbacks for himself and his friends. There were the judges who suppressed public knowledge even of the existence of court cases involving influential and prominent litigants. And there was state Supreme Court Chief Justice William J. Sullivan, who delayed the release of a controversial ruling in order to win appointment for his Republican protégé. State Integrity Investigation — a joint project of the Center for Public Integrity, Global Integrity and Public Radio International — Connecticut now ranks second in it transparency and accountability, earning a solid B grade and numeric score of 86..."
I know and have seen you at many places in the state always there for the constituents of CT. lawfully and helping other candidates. Our biggest problem in state government is the CPS/DCF and unruly behavior and false reporting to kidnap children to make muko dollars off the backs of our children from the federal government, and maybe someone like you can help innocent families with this issue in corrupt government. I hope you do win and I'm routing for you as I know you are an honest person and lawmaker. Go get em Barbara Ruhe! I know you can do it because you have the drive. I will blast this out for you as you deserve to win, you are the best and our state needs you. Love you Barbara Ruhe. On October 10, 2012, the Access to Justice Commission of the Connecticut Judicial branch headed by the Honorable Raymond R. Norko published its first annual report. According to Judge Raymond R. Norko in his cover letter, the goal of the Access to Justice Commission is to provide "equal access to justice for all people." The Commission did a considerable amount of work, and according to its report, its primary focus was "ongoing support for stable legal aid funding, pro bono recruiting and training, accessible Web pages for people with disabilities, and the streamlining of information to justice partners." For a little bit of history, in the Introduction to the report, Judge Norko makes reference to the Strategic Plan for the Judicial Branch which has five outcome goals of "improving access to justice, responding to changing demographics, improving the delivery of services, collaborating with internal and external stakeholders, and accountability to all." The Public Services and Trust Commission established in 2007 developed the Strategic Plan, and its successor organization the Access to Justice Commission was established in 2011 to follow through on its initiatives. According to Judge Norko, Chief Justice Chase Rogers charged the Access to Justice Commission with "developing recommendations to help ensure equal access for all people, regardless of income; ethnic, cultural, or racial backgrounds; physical intellectual, or psychological abilities; or English-speaking ability." The intention behind this work, as stated, is purportedly to "increase the public trust" in the Connecticut Judicial Branch "through improved delivery of services." As I am writing this, I wonder at the reaction of the many folks who have been abused by the Connecticut Judicial Branch to the expression of such lofty principles? To me, and I'm sure it appears to others, as though Chief Justice Chase Rogers and Judge Norko have invited members of the Connecticut Judicial Branch and the attorneys who practice there to play a game of limbo, with the stick raised so high to the ceiling that any complete fool could slip under it! Let's start with the whole concept of including "internal and external stakeholders" in the process. I'm looking specifically at the list of members of the Access to Justice Commission. Amazing! It looks as if all the members are internal stakeholders only! We've got judges, mucho attorneys, some law librarians, and our buddy Ms. Sandra Lugo-Gines who is notorious for regularly refusing to provide reasonable accommodations to people with disabilities who ask for them. But where are the external stakeholders, people like me, for instance, other litigants who come from the various communities that the Connecticut Judicial Branch is ostensibly attempting to serve? I've looked and looked, and golly gee, I can see any of them. 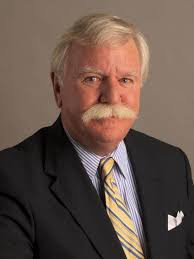 See, it is great and admirable to be aspirational, but you just look like a complete doofus when you totally act in such a way as to scuttle your aspirations, which is exactly what the Connecticut Judicial Branch does. Of course, the Connecticut Judicial Branch doesn't just scuttle their aspirations; they grind them down into the dust and kick them into the gutter! Although I want to give a shout out to the law librarians who are completely professional individuals. I have always been treated with respect by law librarians and they have always provided me with the information I needed to the very best of their ability. Of course, the Connecticut Judicial Branch has made law librarians pay for their professionalism and intelligent service to litigants and attorneys by cutting over a million dollars from the budget that supports them, even though this is probably the only part of the Connecticut Judicial Branch that actually works! So what are some of the concerns of the Access to Justice Commission? For one thing, they are very troubled by the large numbers of self represented parties, whose numbers have risen to about 87% of cases in family court. As the Commission Report puts it, they are concerned about "the challenges of increasing numbers of self-represented parties that have the potential to overwhelm the court system and slow some processes to a crawl." Members of this Commission refuse to acknowledge the reality that they are well aware of, that is that these self represented parties are quite often litigants who are simply voting against corrupt attorneys and a corrupt judicial system through their choice to represent themselves. They are sick and tired of attorneys charging exorbitant fees, and engaging in racketeering schemes where attorneys create false conflicts and engage in deceptive billing practices as a means to fleece litigants of all their assets. What's more, it makes self represented parties angry to see that their attorneys have made agreements in advance of the litigation and have already determined the outcome of a case from the beginning. Again, the Commission talks about self represented parties slowing court processes "to a crawl" and implying that this is the result of a lack of legal representation and knowledge. What is slowing trial court processes to a crawl is the discrimination that Judges and the judicial system exercises against self represented parties, and which self represented parties fight against. For example, quadrupling the complications of the system so that self represented parties don't understand what is going on, violating the constitutional rights of self represented parties, disregarding the law when a self represented party is participating in a hearing, judges lying from the bench, attorneys lying in trial court hearings, all of that takes up time and resources, particularly when self represented parties fight back and they do fight back. The Access to Justice Commission devotes a considerable amount of its discussion to encouraging attorneys to provide their services voluntarily to self represented parties. The big advantage to the judicial system if attorneys do this is that such attorneys will use their considerable skills and training to shut self represented parties up and persuade them to give up their legitimate demands for justice. However, as you and I know, attorneys have an insatiable love of cold cash, so I don't anticipate that there will be a plethora of volunteer attorneys any time soon. Second, the Commission continues on with its completely clueless commentary by observing that along with a rise in self represented parties, funding for legal aid declined considerably because of problems with the economy. In Connecticut, to resolve this problem, the Commission reports that the Judicial System responded by increasing court fees. This means that in 2010, according to the report they were able to raise $9 million through raising court fees, which is a considerable amount of money. Further, these increases are expected to generate approximately $4.8 million annually through 2015. Ironically, I am assuming fee increases of such magnitude must have limited Connecticut citizens access to justice by making it too expensive to pursue litigation! Third, the Commission report recommends redesigning the Judicial Branch's web pages and site so that it is accessible to "people with varying abilities". This is highly amusing! I mean this is a Judicial System that is, apparently, so overwhelmed by the challenge of meeting the needs of persons with different abilities, it was incapable of providing functioning wheelchairs to litigants. How can it possibly be sufficiently competent to develop accessible web pages? Seriously, though, what litigants with varying abilities want is simply their reasonable modifications which they are entitled to based upon Title II of the ADA which is a federal law. However, Judges and Contact Persons, and most particularly, Ms. Sandra Lugo-Gines, the latter a member of this very Commission have repeatedly and consistently refused to provide them. It is not about having cute websites. It is about giving people the right to testamentary and participatory access to the judicial system, no matter what kind of abilities they have. Currently, the judicial system is denying Connecticut citizens their rights under the ADA, yet this Commission has the nerve to speak about making the Judicial System accessible to all citizens? That's what I'd say adds up to putting the limbo stick on the ceiling. The Access to Justice Commission Report is around 38 pages long and is filled with considerable detail, so I cannot cover every point. I would encourage all of you to take a look at it. Before I close, on another down note, the report includes a discussion of developing rules for teleconferencing and videoconferencing under the direction of Judge Elliot N. Solomon. Many of us hearing about this and who have experienced teleconferencing and videoconferencing in lieu of face to face hearings are very concerned about whether such hearings are constitutional. If there were a legal challenge, I don't believe they would be found constitutional. As one piece of good news, it appears that the Commission is working towards making the audio recording of hearings available to litigants online at a minimal cost. This is a welcome development for litigants, particularly those who are self represented, who have long complained about the fact that transcripts were being tampered with in their cases. The sooner this happens and the recordings become available, the better. For those of you who are interested, the Access to Justice Commission holds meetings which are open to the public and is required to obey the Freedom of Information Act. Thus, Commission notices, agendas and minutes will be posted online at the Connecticut Judicial Website and available to the public.